What majesty of nature! I love the view overlooking from above. Wow. That is gorgeous. Beautiful work on your part as well. 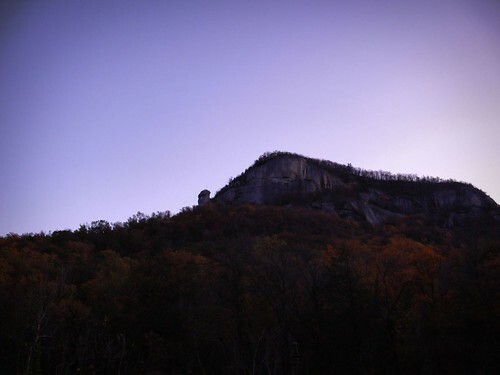 Why had I never heard of Chimney Rock State Park before? It's spectacular and your photos really gave me the sense of the height. That Grotto looks like a special little place. Spectacular photos, thanks for the tour. Oh wow.. those are all great shots! I love the lavender sky the most. Have a look of my world here. It was so great seeing your world! cool, what a lovely place and what awesome photos. I love how "clean" they look, not sure how else to describe it. What an incredible place! 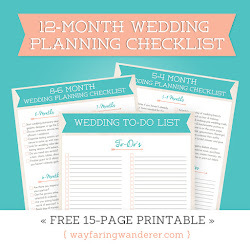 And now it is on my list of places (not-so-close) to go! 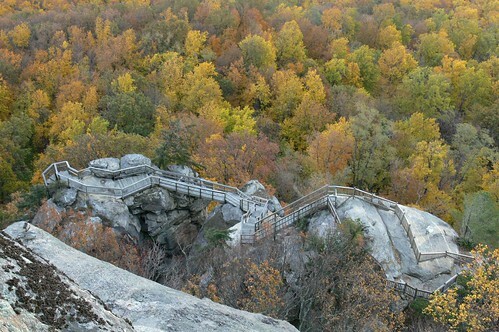 I LOVED Last of the Mohicans, and since you mentioned that, I recognize the rocks. They are a unique style. What a perfect day for a hike! I'd love to go there sometime. Most of the leaves are off the trees here. Looks beautiful and reminds me of Rock City in Chattanooga. what a beautiful photo walk before work this morning ~ such images to carry me through ...thanks for sharing your trips! 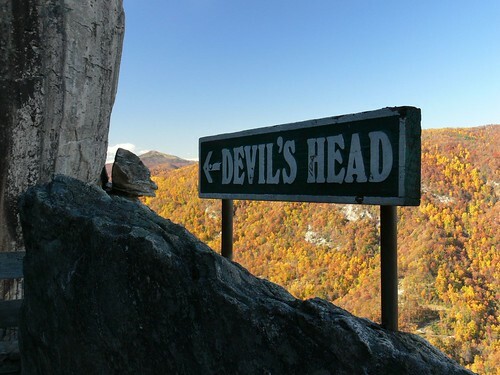 Thanks for taking me back to Chimney Rock. It has been years since I went there. 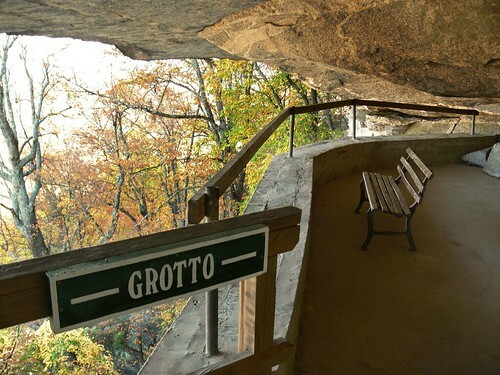 I sat in that bench in the Grotto. The fall is my favorite time to visit because of the leaves. Thanks so much. Awesome! What an interesting post and info! wow you definitely had a gorgeous day to visit. The views are incredible and you gave us a fabulous tour. thanks!! Great hike & photos! I could hang out at the Grotto with a hot cup of tea, pleathora of snacks & a couple of reads all day... maybe a down sleeping bag too. whay a great outing.love pic's. You got some great shots. I went there several times as a child when visiting my grandmother in Boone and later as an adult but have never photographed it. It's only in the past few years that I've gotten into taking a lot of photographs. I enjoyed seeing yours. WW: What a neat area to visit, I felt like I was there with you. I remeber the scene in that movie at the falls. I think they hid under a heavy flow during a rain. Yours was an interesting post and I'm glad I came along. Ooh. I want to go now! i so enjoyed your post...beautiful shots. Awesome! That seems like an amazing park. You live near so many beautiful places to visit. "The Last of the Mohicans" is one of my husband's favorite movies. absolutley beautiful.. Thanks for sharing your trip. Fall is amazing! We are trying our best to reduce reuse and recyle too. Love those views! 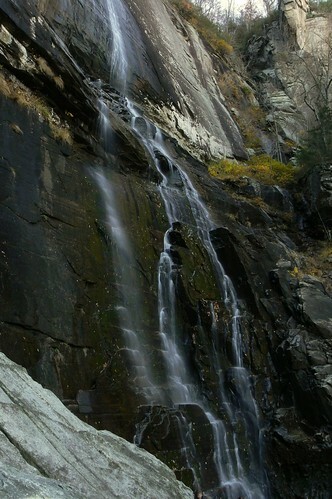 and the waterfall pics below are fantastic. When I have more time I would love to get my tripod and do a few of those too. your work is always amazing! Gorgeous. You do such a beautiful job on your waterfall photos. 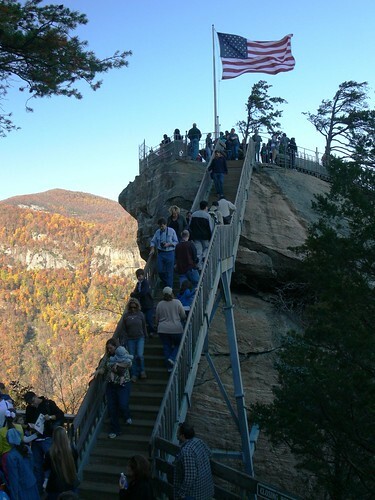 I'm not sure I would love being at the top with so many people, vertigo and a fear of being bumped over the railing might taint my visit. If I were alone with someone I trusted I would be okay though! Wow, what a find! It's good you waited for a spectacular day to visit. This park is really impressive. Fall must be the best time to visit! loving these. I am so glad you guys go outdoors often! i know that might sound strange-but we miss our hikes out west! 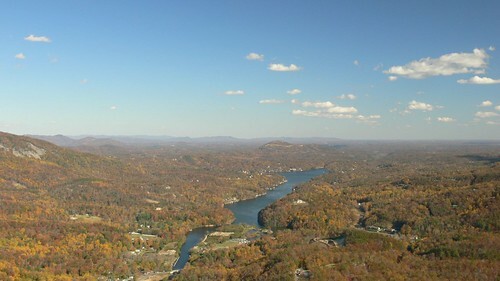 the valley is so colorful from above - full of oranges and yellows! I love the hidden alcoves. Beautiful views, great rock monoliths and an inviting trail. A very nice tour of your world. What a wonderful post and what a place to visit with the expanse of fall colors wherever you look. Those stair look kind of scary but I'd do it. :-) Really great photos and I'm so glad you shared them. I'm just in awe looking at all of these! Wow, what a gorgeous place to be and how beautifully you've captured it. Thanks for your visit to my post about the Capitol Christmas Tree. I'm sure NC has contributed and will again was the years go by. From what I see in these photos you have a lot of wonderful trees! 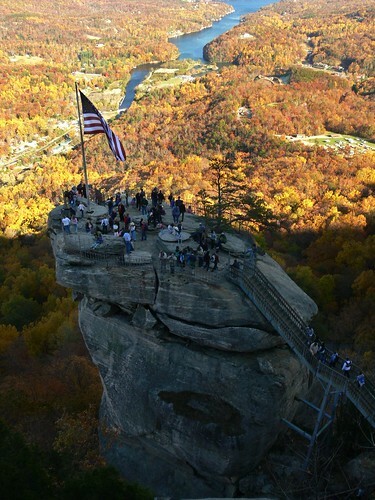 Never heard of Chimney Rock - amazing photos, really enjoyed seeing everyting. That monolithic rock column is amazing. Thank you for sharing your beautiful photography of the event. 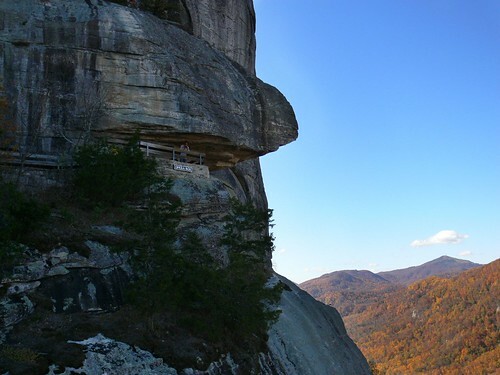 I've never heard of Chimney rock, but it looks both beautiful and intimidating at the same time - those steep cliffs must have been disorienting walking down. You seem like you had a good time, and the last shot is fantastic! What a beautiful place. The heights are dizzying, but the view is extra spectacular. Gorgeous. Thanks. Such wonderful and beautifully breath-taking photos! Glad you were able to make the trip finally! Hugs for a wonderful weekend! It looks like you succeeded in finding Fall. Thanks for taking us on a journey to a very unique place and time. This is one of my most favorite places in the world.